This session was the session we needed to refresh after shooting at the same location for nearly 3 weeks. 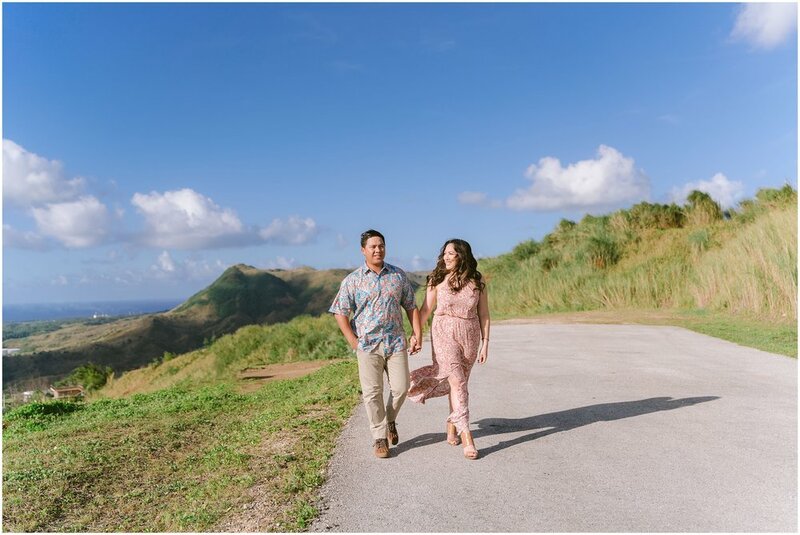 Since the last week of October, we were photographing majority of our family sessions at Nikko Hotel Guam beach side. We kicked off our Holiday Minis on October 26 and every mini-session was at Nikko Hotel and we were starting to get a little antsy. 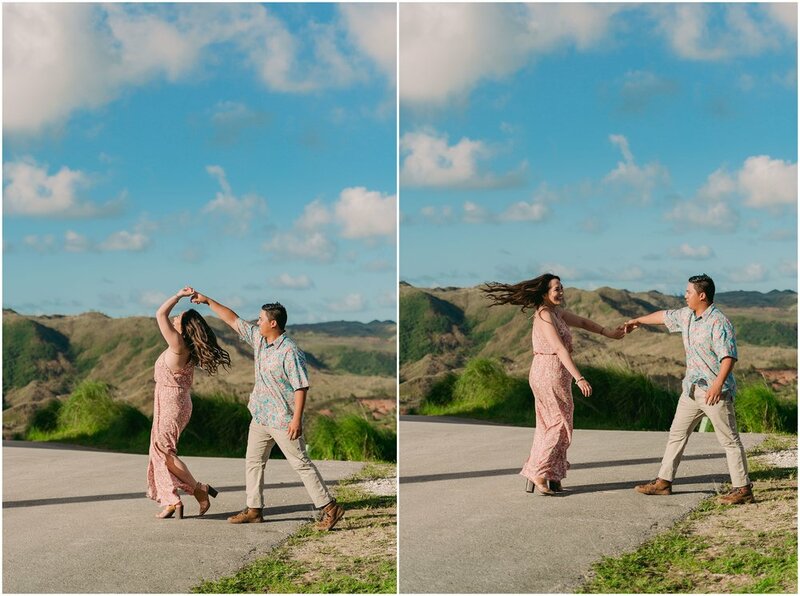 So when Goro recommended 2 locations that was special to him and Tatiana, I was stoked. The locations were foreign when he shared the pins to me via whatsapp and I was prepping myself mentally as the day of the session got closer. When D and I got to the location, I started screaming. It was breathtaking! And my excitement as we drove around to quickly scout the area was through the roof! I couldn’t contain my happiness!! The whole session was a breeze. Goro and Tatiana followed every prompt and idea I had with such enthusiasm that I over shot… And over-shot is such a underwhelming term because when I was backing up the files… It ended up being 2,005 RAW IMAGES!! For almost 3 hours, we shot 2,005 RAW IMAGES!!!! I think that’s the most we have ever shot for a couple. When I finished culling, I ended up with 471 photos from the bulk. That amount could make any photographer roll their eyes but I could not, for the life of me, chop anymore without feeling guilty at omitting an image because of the emotions and how interesting each image was. Again, these two rocked their session. Every moment, every prompt… These two were so freakin’ fun and fantastic to work with. 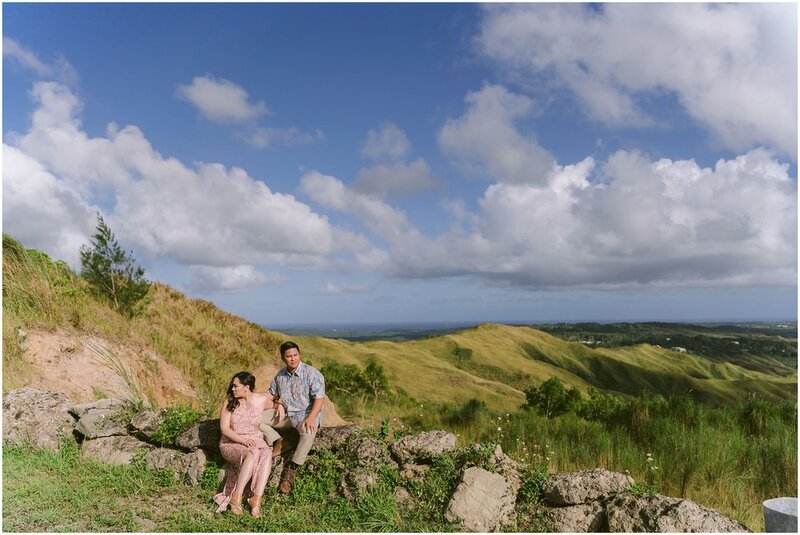 This was our one of our best engagement sessions and we are so honored to have photographed Goro and Tatiana!! 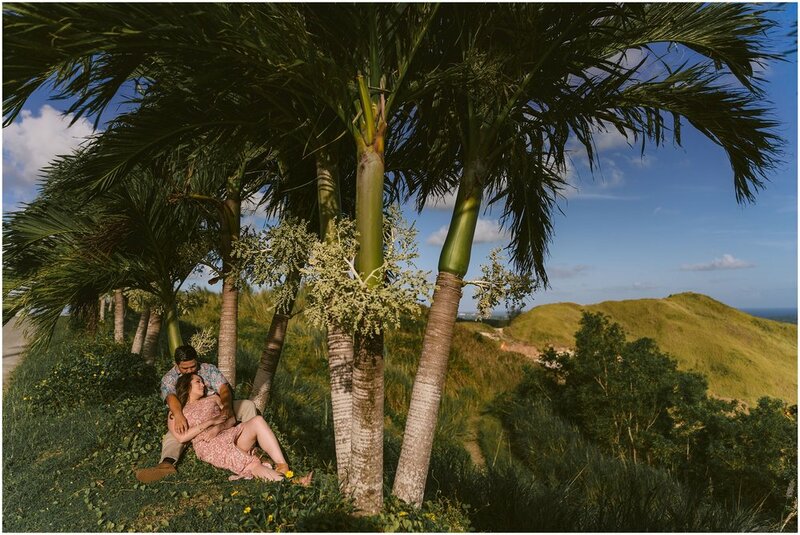 The following locations are set on Guam. The first location is somewhere in Santa Rita and the second location is a private family beach. 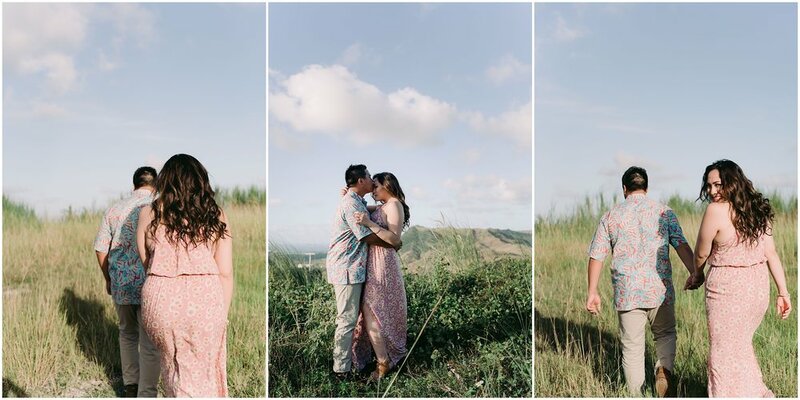 We hope you enjoy their photos as much as we enjoyed photographing their love on Guam!